I bought this purely on the basis of NSP- $6.99 and 9% is a good combo. 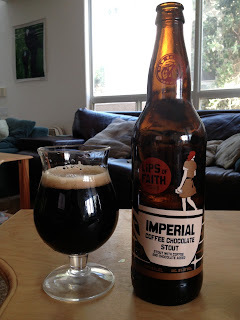 Normally I stroll right on by New Belgium, but their Lips of Faith line seems to have something to offer far beyond their regular order of boredom. I finally had the sense to take a stout out of the fridge 30 minutes or so before I cracked it. And I immediately noted the difference in the smell, which seemed to be a lot more intense than a cold one. Smelled pretty damn good- lots of chocolate and coffee...imagine that? Not a lot of hops, a little bit sweet- pretty much a nice straightforward stout with some good adjunct flavors. Straightforward indeed flavor-wise, and that's a good thing. 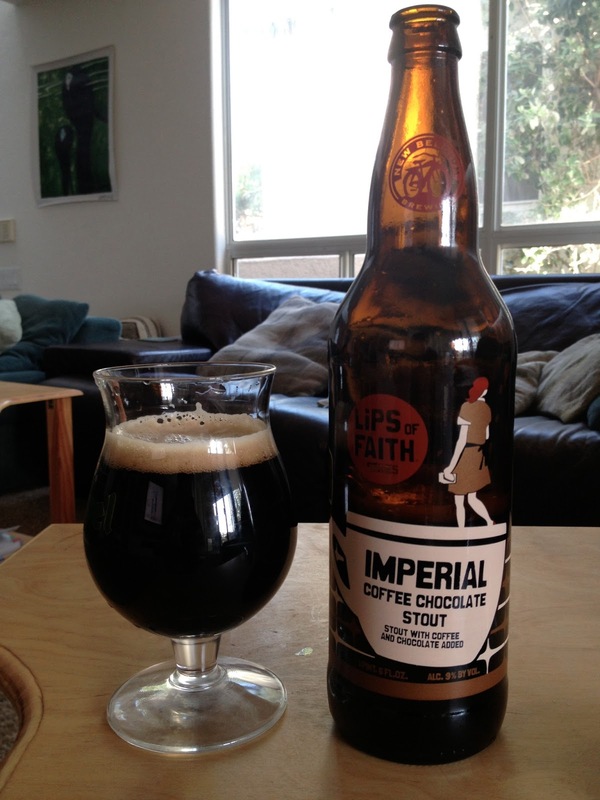 Nicely balanced, lots of flavor with chocolate and coffee everywhere, a little fruity, and nothing overwhelming, including the booze, which isn't even remotely noticeable. Just a good stout that pretty much hits all of the hallmarks right on the nose. Not much more to say than that, and nothing needed.